First preheat oven to 400. 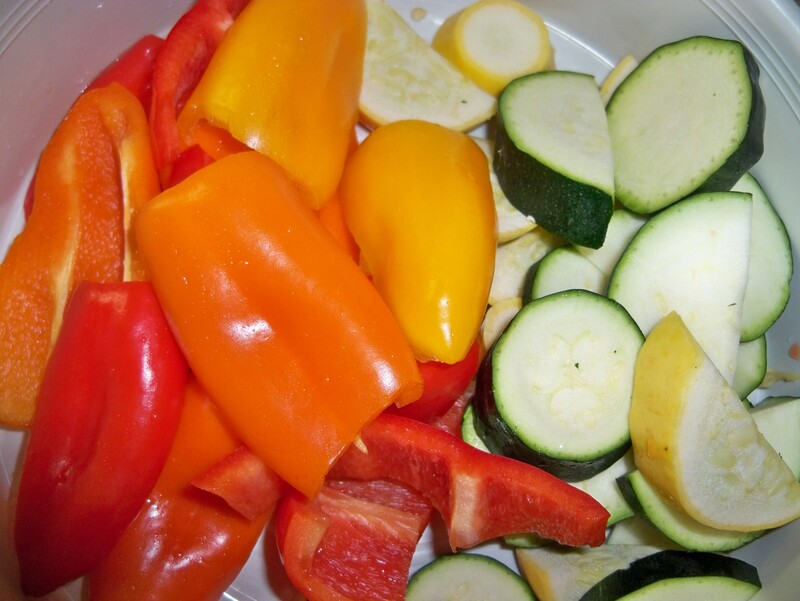 Then get out your veggies. 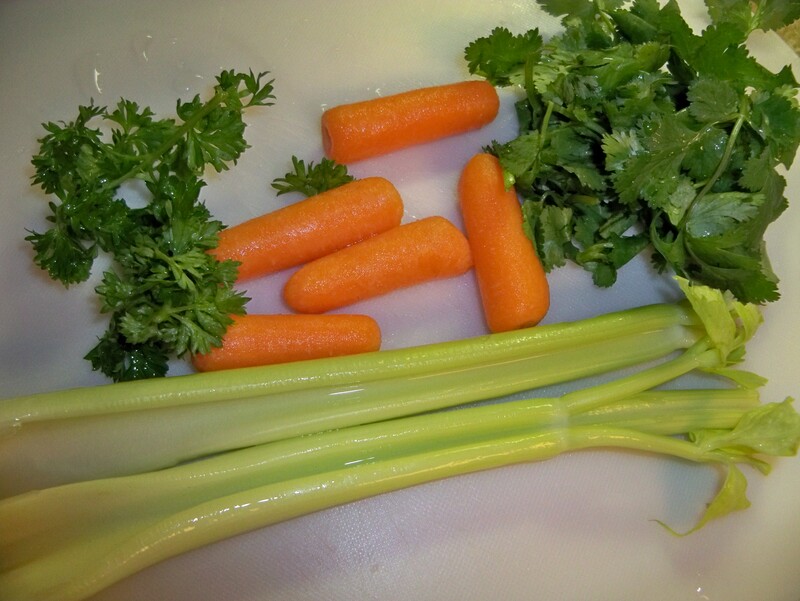 Take your carrots, celery, parsley and cilantro and wash them good then pat them dry and set aside. 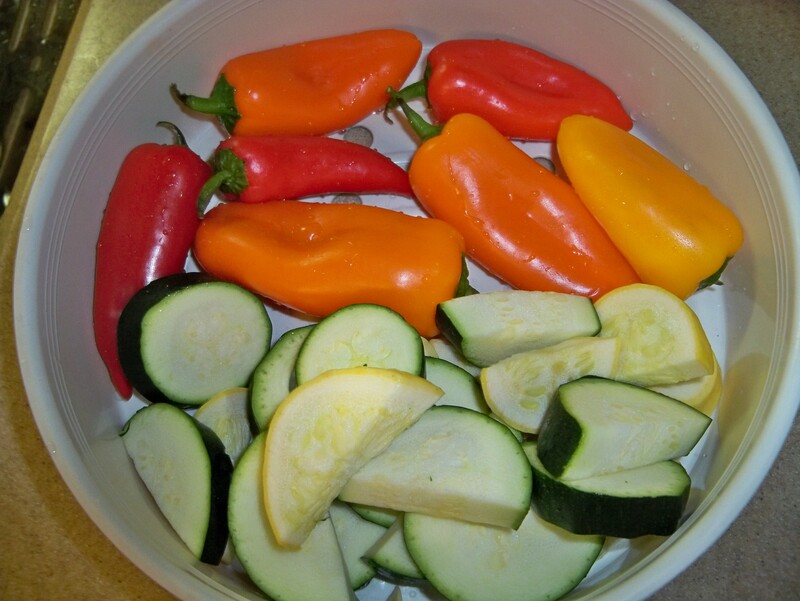 Next get out your baby peppers, zucchini, and summer squash. Wash them well and pat dry. Then cut your squash in rings then in half. Set aside. 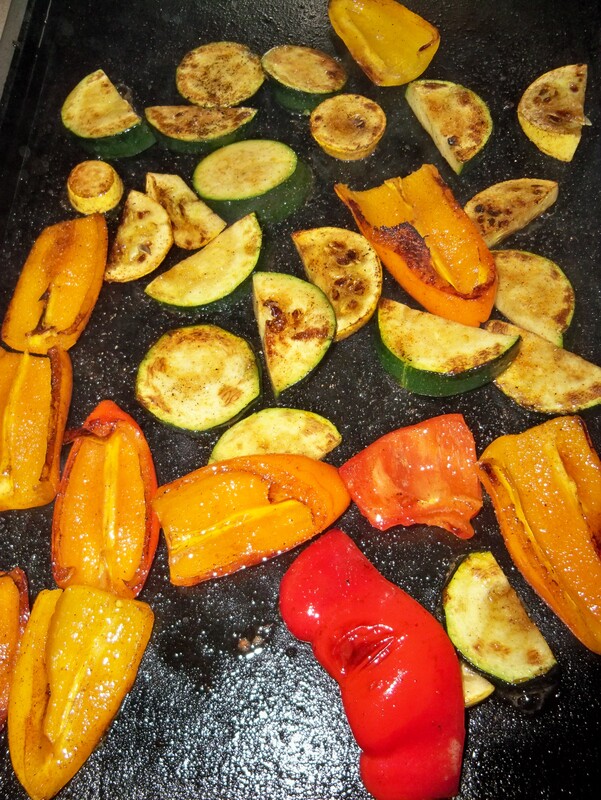 Now remove stems from peppers then cut in half then set aside with squash until ready to pan sear. Next get your sea salt, black pepper and olive oil. 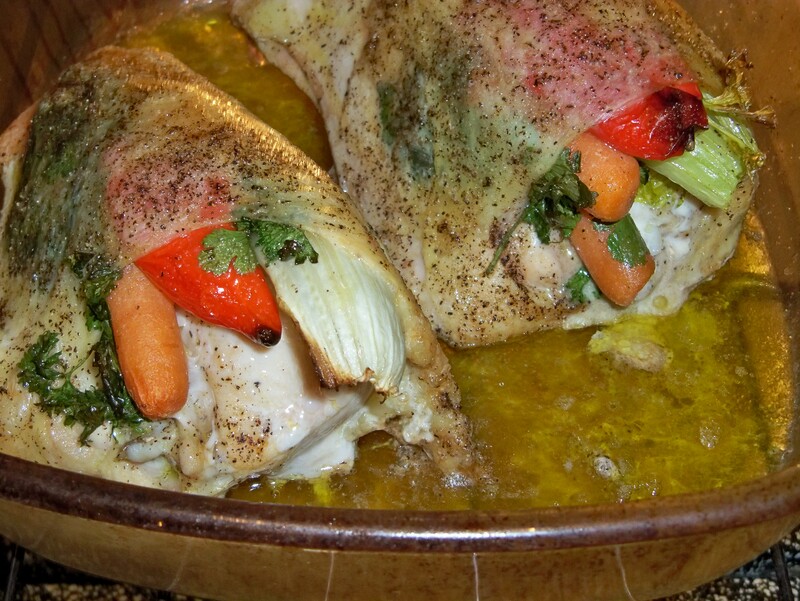 In a large oven safe glass dish take your two split chicken breasts and put in dish. 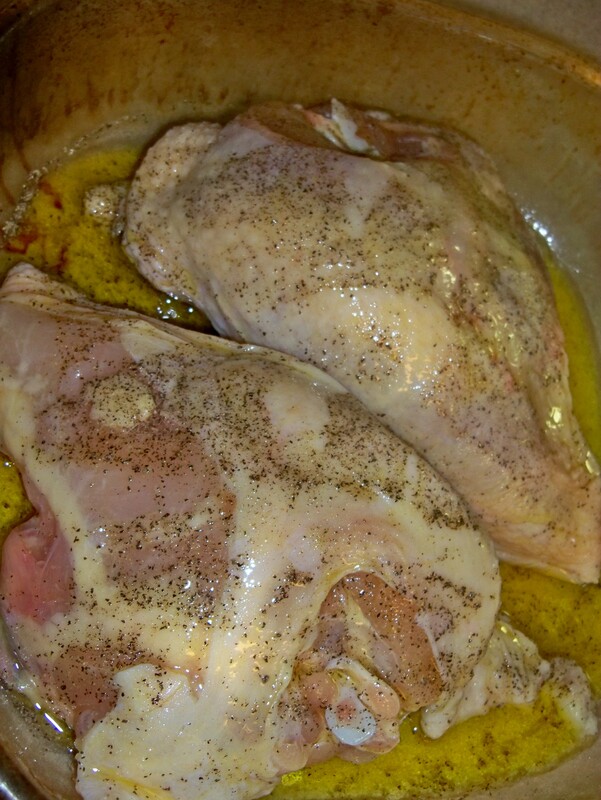 Next take all but 2 Tablespoons of olive oil (You will need 2 Tablespoons for the rice) and massage into chicken breast. 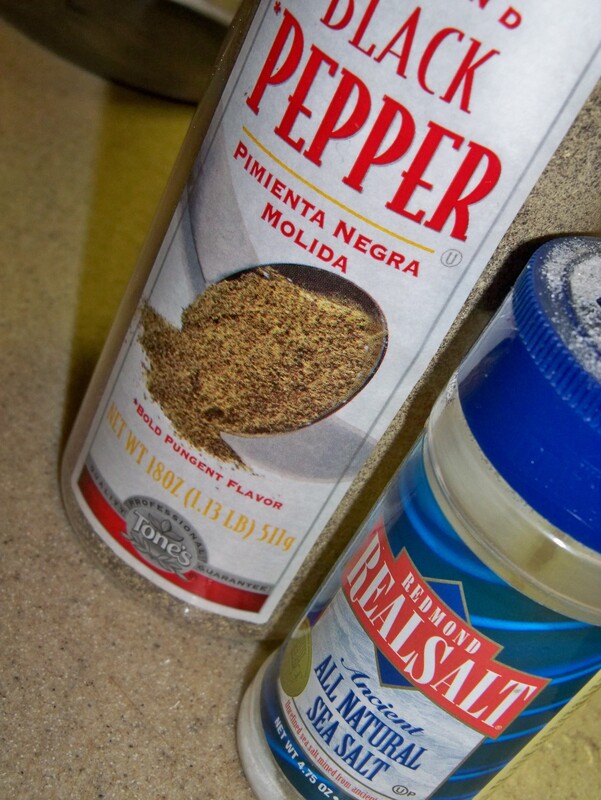 Then season with sea salt and pepper. Next take celery stalk and cut into 4 pieces. Take 1 piece of bell pepper, 2 pieces of celery, 2 carrots, and 1/2 the parsley and cilantro. Stuff half of these under skin of chicken breast. Do the same thing with the second breast. 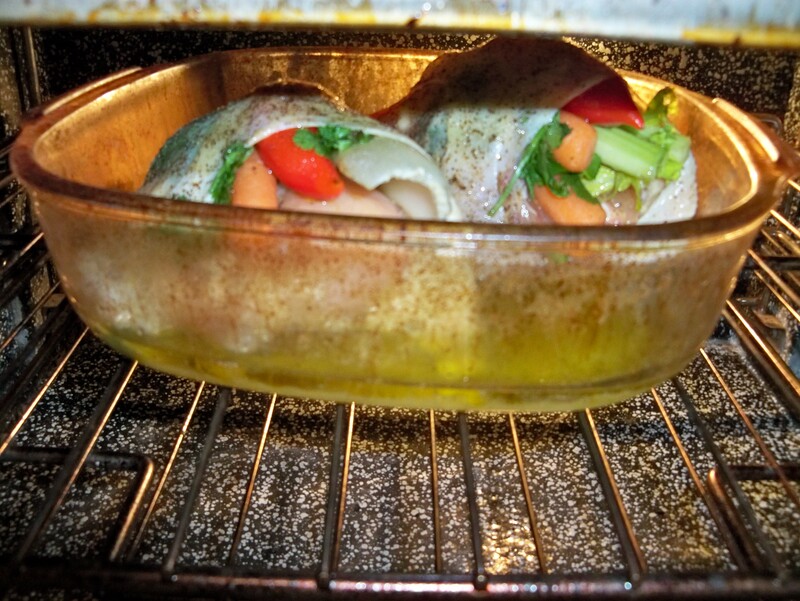 In preheated oven set at 400 place oven safe dish into oven. Cover top with foil for first 20 minutes. 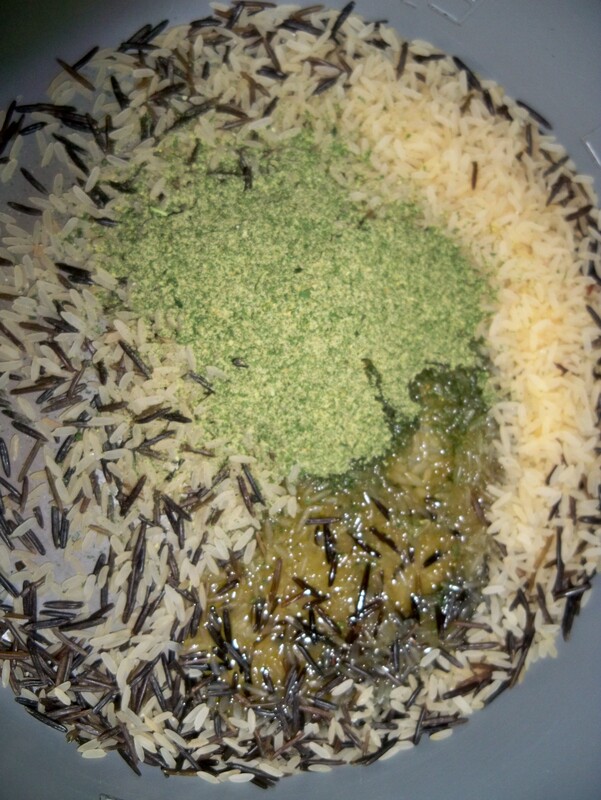 In a rice cooker or large pot Take your wild rice add parsley, 4 Tablespoons olive oil, sea salt & pepper. 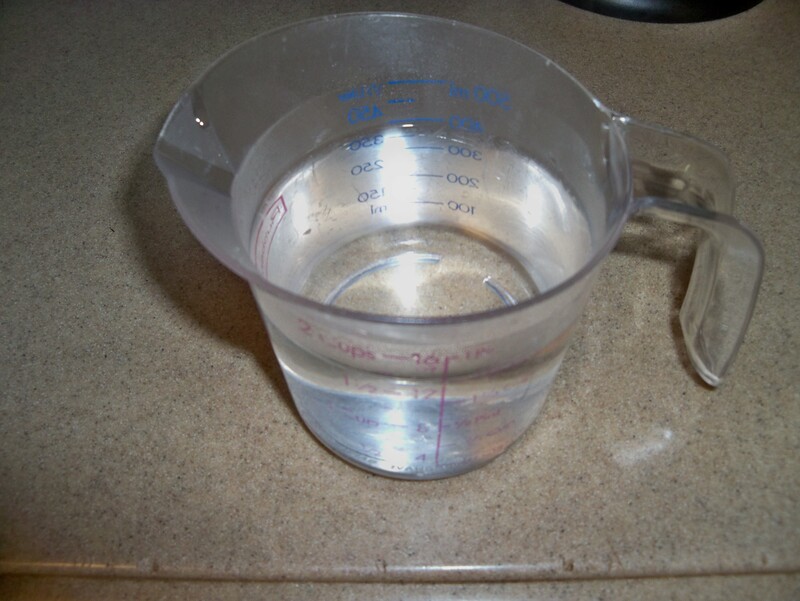 Next measure out the amount of water the package calls for. I made mine in a rice cooker. If you have one great, if not a pot works just fine as well. Next add the water to the pot or rice cooker. Next cook the rice for the designated amount of time per the rice instructions. 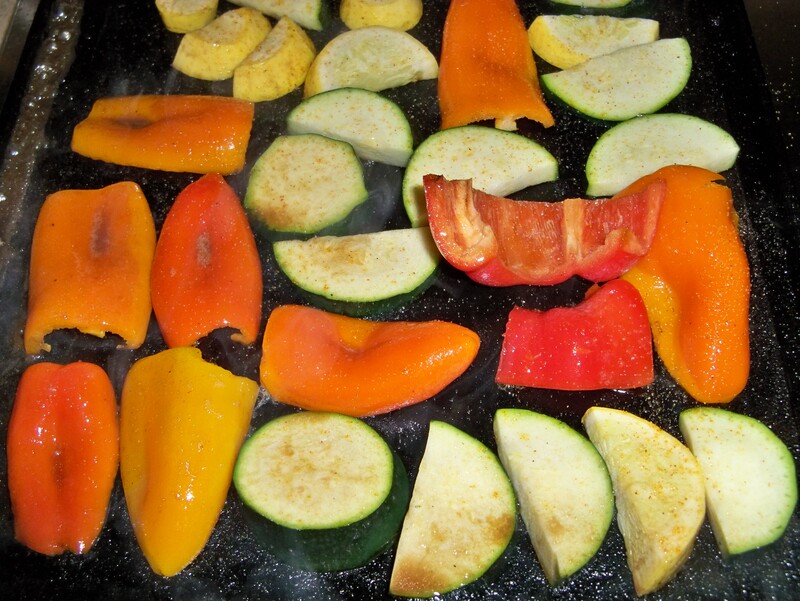 Preheat flat top grill or large skillet to medium heat. Line up squash and peppers. Season with sea salt and pepper then drizzle with olive oil. Cook for 3-4 minutes on this side then flip and cook 3-4 minutes on other side. 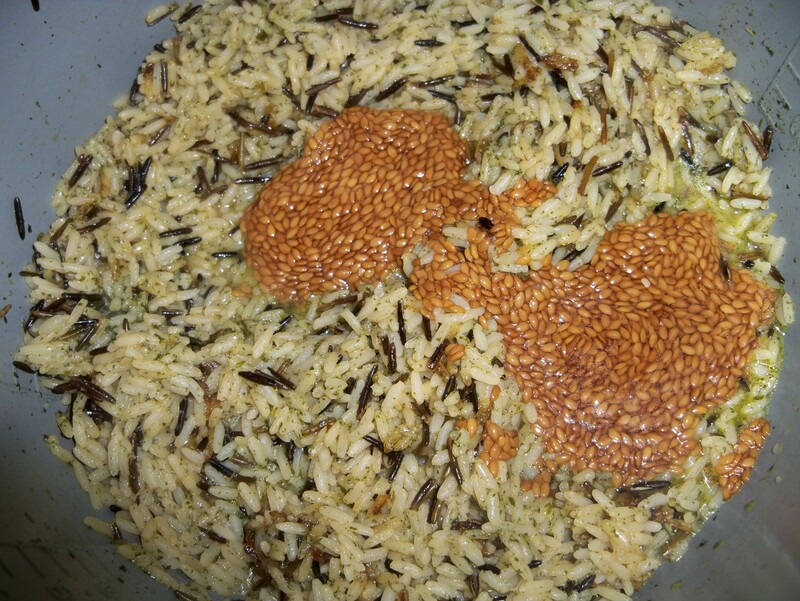 When rice is finished cooking add pre-soaked golden flax seed to rice. 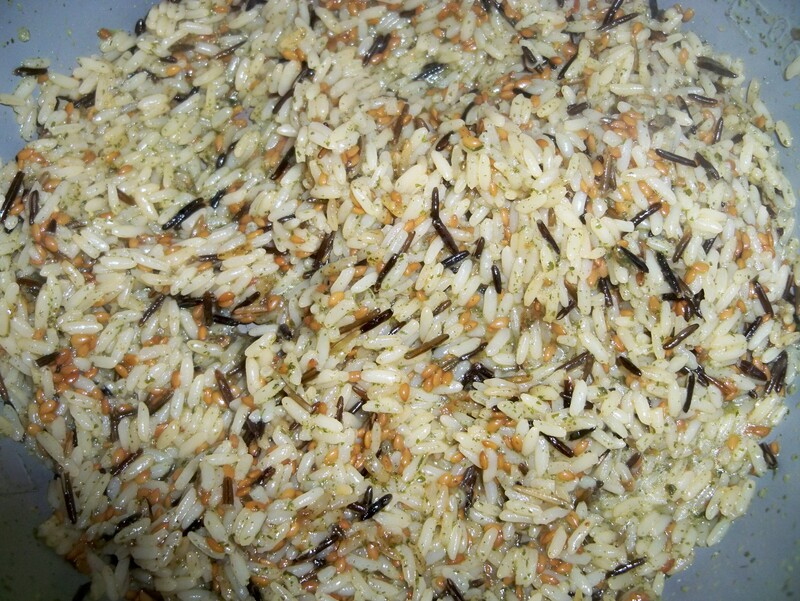 Stir rice and flax seed together mixing until flax is evenly disbursed through rice. Remove chicken from oven and allow to rest. 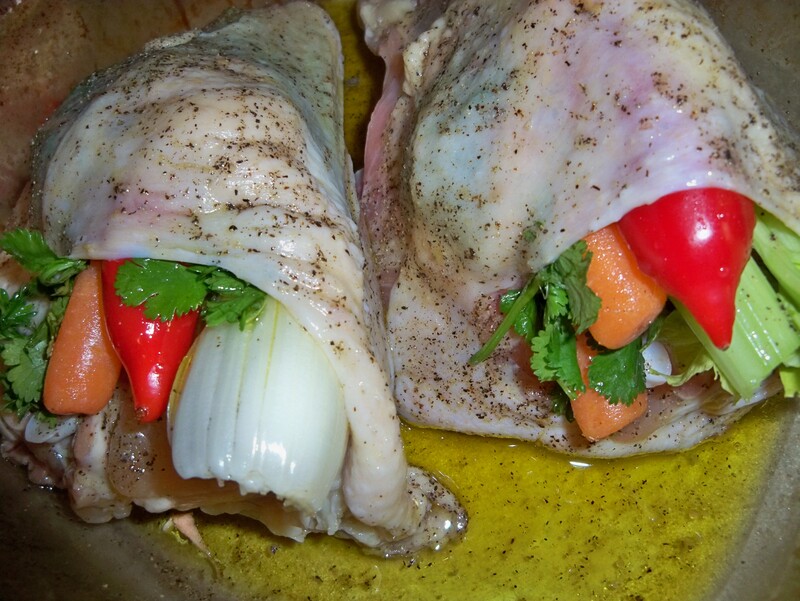 Then slice chicken into slices. On a plate take your rice and put in center of plate. 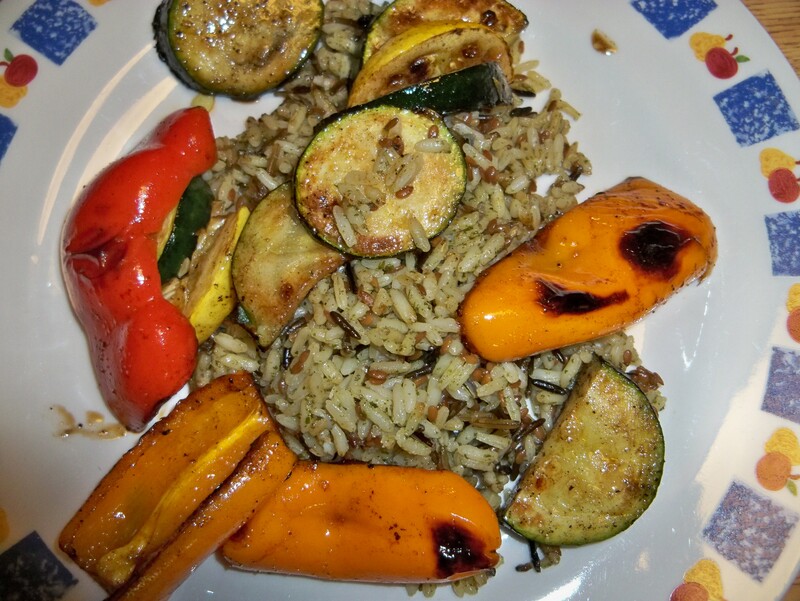 Then add veggies around the rice. If you are a vegan vegetarian you would stop here and not be including the chicken portion of the recipe. Your plate will look just like the one below. 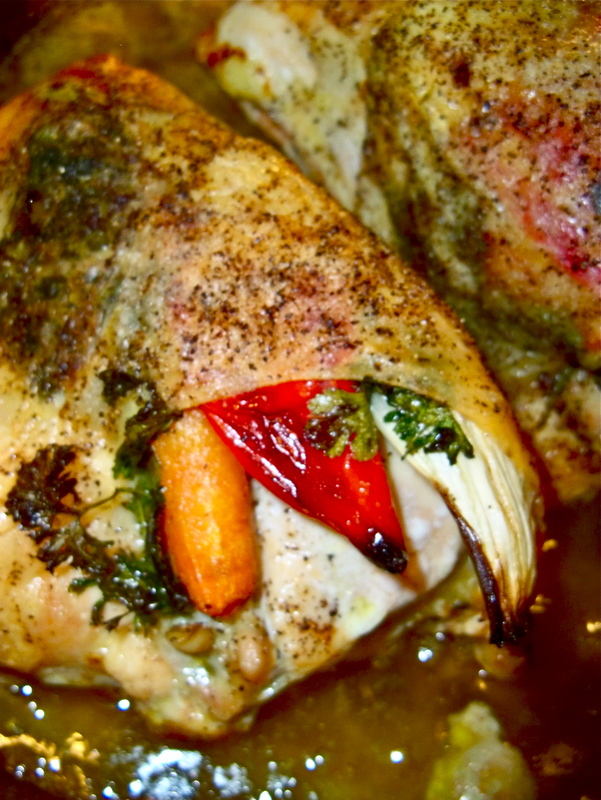 You can also make this dish without chicken and cut the cost down omitting the chicken portion of the recipe. Next add slices of chicken breast to center of plate. Top with 2 spoons full of chicken juice over rice. 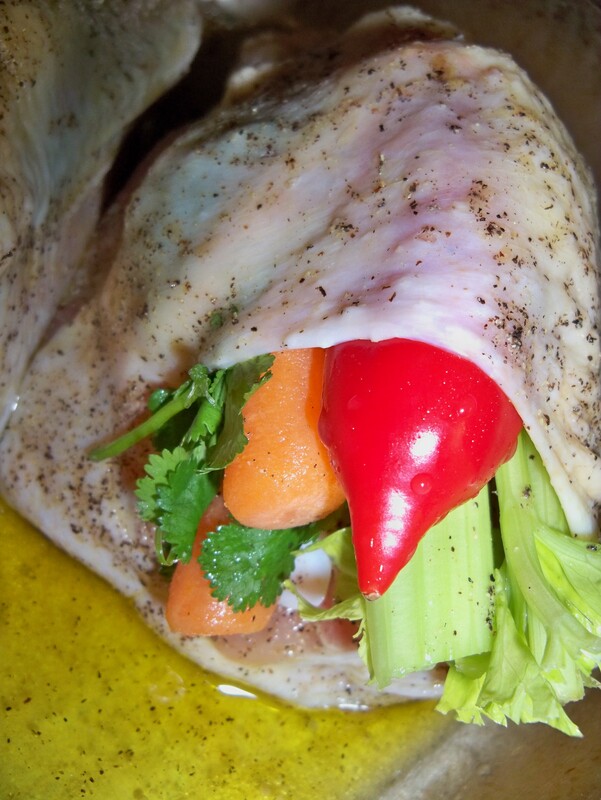 You can take some of the parsley and cilantro and put atop chicken. 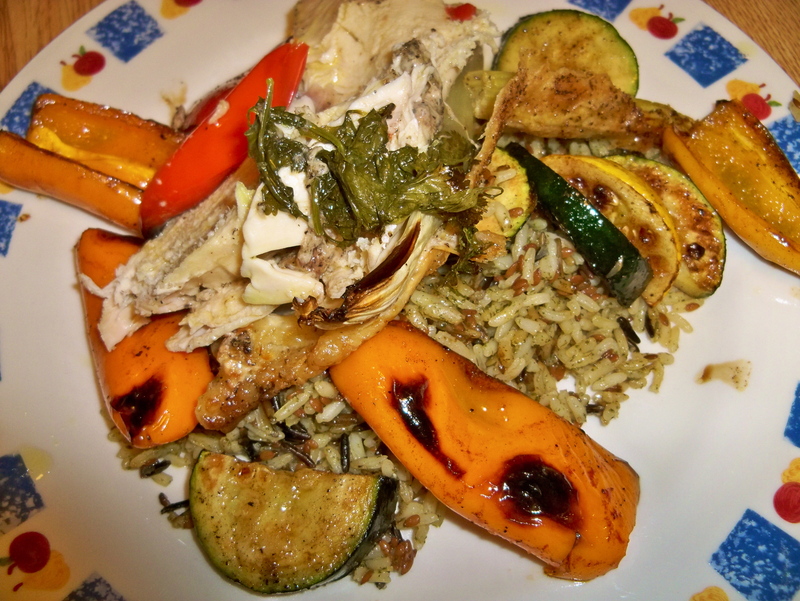 This meal is super healthy and absolutely delicious. The only problem with this dish is there is never any leftover. This meal is super affordable. Not only is it healthy and filling but for $7 you can make 4-6 servings of this dish. It is beautifully presented with an array of color and health benefits all while keeping the cost low. Healthy doesn’t need to be expensive. I love to squeeze lemon over this dish. Of course you don’t have to but it sure is delicious and adds some wonderful purifying benefits to the meal. You want to be sure to pre-soak this the night before. We have mentioned many times in our previous posts how we prefer to do it. 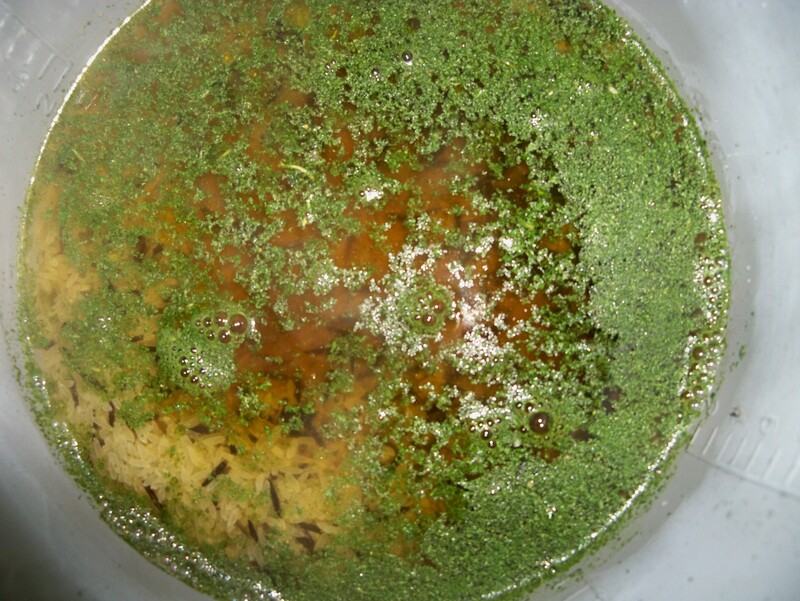 We bring the flax from the store and wash it then immediately put it into a container 1/2 flax seed to 1/2 water and store it in the fridge. This way we have it on hand to add to all our amazing salads and recipes whenever we need it without the delay or overnight soak. It really is a great convenience to have it ready on hand for your cooking and recipes. You can make this dish without chicken and do it with tofu or just plain. If you want it plain utilize all the steps above and omit the chicken part. Appreciating the time and energy you put into your website and detailed information you offer. It’s nice to come across a blog every once in a while that isn’t the same old rehashed material. Excellent read! I’ve saved your site and I’m including your RSS feeds to my Google account. My brother recommended I might like this website. He was once totally right. This post actually made my day. You cann’t consider simply how much time I had spent for this information! Thank you!